Lipocils Eyelash Conditioning Gel is a lash enhancement product manufactured by Talika, a company known for their cosmetic-related products. Applied twice a day directly to the eyelashes, Lipocils Eyelash Conditioning Gel conditions hairs and encourages growth, both in terms of length and volume. Retailing for around $40, the product has been around for many years and works best when used in combination with other Talika eyelash products, including a cleanser. Retail price is less than $50. Encourages new hair growth, making the lashes appear thicker. The conditioning gel comes from a family of different products that can all be used together. Results can take some time, often not showing up for at least a month. Does not work as well as clinical-based enhancement products. 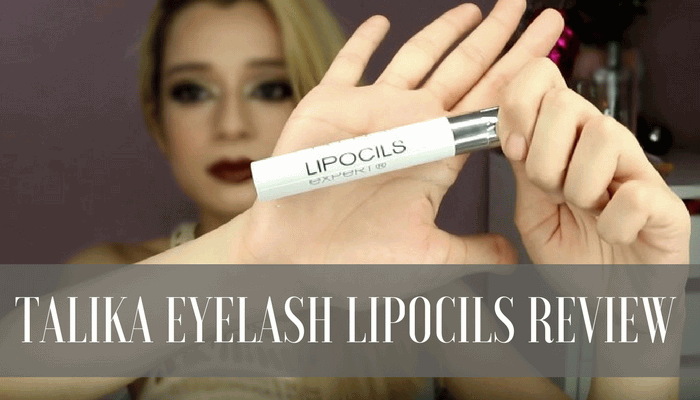 How does Lipocils Gel Work? As a result of make-up, removers, and various environmental factors, many people experience eyelash loss or end up with lashes that are short, dry and brittle. Lipocils Eyelash Conditioning Gel combats this by moisturizing existing lashes and encouraging new lash growth. For the first 28 days users apply the gel twice a day to the eyelashes using a mascara applicator. The extract-based gel then nourishes and repairs damaged lashes using different natural ingredients before stimulating hair growth with ingredients like nettle and soy lecithin. After 28 days, users will notice thicker, longer lashes and can begin to use the product once a day. Used continuously, the product will strengthen and add volume and definition to lashes so that little or no mascara is needed. Generally, people who used Lipocils Eyelash Conditioning Gel were very pleased with the results. Though many who used the product did not notice any extra growth until after about a month of use, they said that the gel strengthened their existing lashes right away. Those who had experienced hair loss in their lashes said that once they started using Lipocils, the lashes stopped falling out. However, for a natural product, the results were impressive. Users also appreciated the simple application as most lash enhancement products require you use an eyeliner applicator while Lipocils has a mascara wand. Since Lipocils Eyelash Conditioning Gel is made from extract-based ingredients, it is suitable for sensitive eyes and there are not many side effects. However, some people may have an allergic reaction to one of the ingredients, causing itchiness, redness or swelling. In this case, they should stop using Lipocils. All-in-all, we found that Lipocils was a great, safe product. Ideal for those with sensitive eyes, the product contains no unhealthy clinically-created ingredients and it both strengthens and increases growth in lashes. And while you have to apply it twice a day, the mascara wand provided ensures ease of use so that you can put it on no matter where you are. What's better than Talika Eyelash Lipocils Gel? After reading the information on Talika from this website, I decided to try it out. After couple months through the first tube, I didn’t notice anything different with my eyelashes. Nevertheless, I was willing to give the product a longer test time since it’s a lot cheaper than other eyelash enhancement products available in the market. I have gone through 2 tubes of this French-made Talika and no growth or thickening of my eyelashes is noticed. I would have to say the product give empty promises and it would be a waste of anybody’s money to buy it. You might as well put water on your lashes. I would give a zero star if that option is available. I used Talika since valentin,mean 3 months,no difference to me.Never skip morning or night..
forgot of my rate….not more then 1 star. I used this product as indicated on the packet, and so I applied it every morning and night consistently for about 2 weeks and then only most days for the rest of a month, as I started to get very frustrated with the lack of results. I feel that it might have had an impact on my eyelashes but not one that I could easily detect, so the product did not succeed in providing me with noticably thick and full eyelashes. I also used the eyebrow applicator from the same brand which did not work for me at all really. I would not recommend this product and am regretful that I did not come on this site before making a purchase, as I would much rather spend more money on a product that people seem confident does work, rather than buy something cheaper and then have to buy the better product later anyway, because of the lack of results. I am going to save a bit and see if I can buy one of the top rated products, as it would be nice to have a full set of eyebrows and thick eyelashes – what girl wouldn’t want that 🙂 so I hope that the good results that other ladies have got will apply to me too – FINGERS CROSSED!! I really like this product; I decided to try this instead of something like latisse because I am breast-feeding and also I have sensitive eyes. Talika Liposils made my existing lashes soft and strong and a bit longer. Not super dramatic but enough to notice. Also they seem thicker. Did not seem to make a difference to my half asian eyelashes. My lashes are generally short, straight and fine. I was hoping this would at least thicken them and help me grow more, but no noticeable difference was noted. I started using Talika a couple of years ago as I saw it advertised on one of the TV shopping networks (I’ll believe anything!!!). It wasn’t that expensive so I figured, since it’s made from natural ingredients, that it couldn’t hurt. After about 3-4 weeks I noticed my eyelashes seemed a little longer. Thinking that maybe it was psychological and figuring how much I wanted it to work, I continued to apply 2x/day to watch for a more obvious comparison. Well I received the obvious difference I was hoping for and quickly ordered a couple more tubes! The difference was that, before Talika, my eyelashes could NOT be seen (upper eyelid) after applying mascara and after Talika, I definitely could see my eyelashes on my upper eyelid. I’ve noticed more of a LENGTH difference over a thickness difference but overall am more than pleased. 3.5 months ago I tried Latisse (paid a ridiculous $200 from a doctors who does fillers, Botox, etc.). To date, I have NOT noticed as much of a difference as I did with the Talika!!! Don’t ask me why, but I’m 100% sure that, so far (! ), my Talika is better! Maybe I haven’t used the Latisse long enough, but so far not too impressive. Another plus of Talika over Latisse is the application process. Easy, easy, easy…just like mascara…takes a couple of seconds. 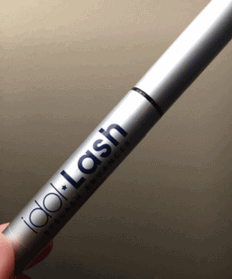 The Latisse is watery and I can’t help but get a lot of this product in my eyes! The final plus about Talika is that it lasts forever!! So this one was a no-brainer for me. I will use the rest of my Latisse, but I’m going to use in conjunction with my Talika (yes, I still have some left…the mascara wand continues to feel damp, indicating there’s more product left in the tube!) until one of them is empty, then I’ll continue to order Talika! I sure wish fine lines and wrinkle creams and serums had a product with such obvious results!!! I forgot to rate my opinion of Talika…I wish there were more stars to rate this incredible product! It was so interesting reading such mixed reviews about talika, how it has worked on some and not on others. Well, for my part I can only say that I am in love with this product. It is very reasonably priced and at least for me, very very effective. I saw a review on it on YouTube, and decided to buy it and it paid off ! After a month I noticed a 1mm or 2mm lengthening, and after 3 months, I noticed even more length, but also that I had more lashes and that they were thicker than ever before in my life. A year has passed since I bought my first tube, and I must say, I am not even tempted to use anything else, that is how happy I am with this product! 5 stars from me because it works, it is safe and it is very affordable, and you can go on using it like a conditioner, unlike Latisse from what I hear. I bought this Talika yesterday after my existing eyelash Nourishing finishes, I am still waiting for the delivery, will pop in again for the comments after I start use it. I have been using a Korea brand which was expensive nearly 60 quid but it worked. The problem is I can not get it in UK. To me is top I used years ago and always get great results. I had used other brands but nothing like Talika. No way I am going thru a eyelashes permanent chemical treatment, with Talika. Due an accident I lost some eyelashes on the inferior eyelid and came back in around 6 weeks…and they are still there long and nice.